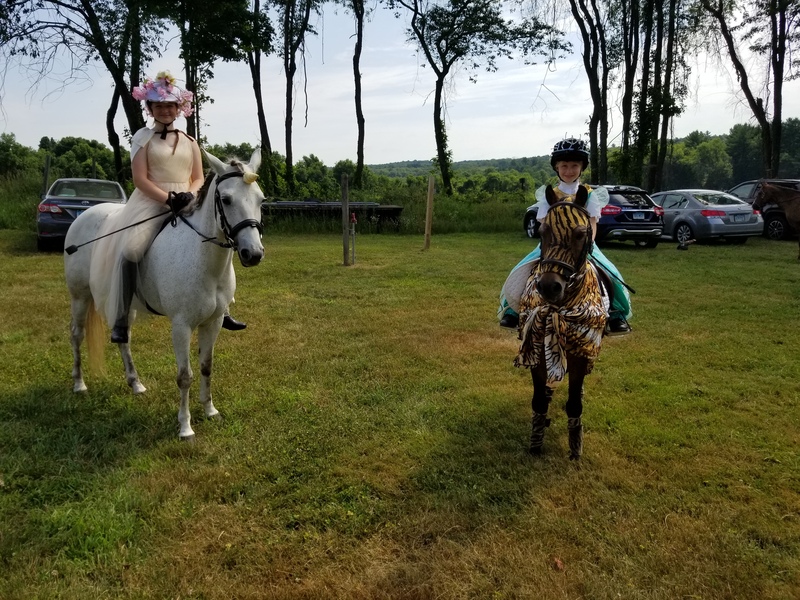 On July 14th we headed to Tolland for the CT State 4H Horse Show. 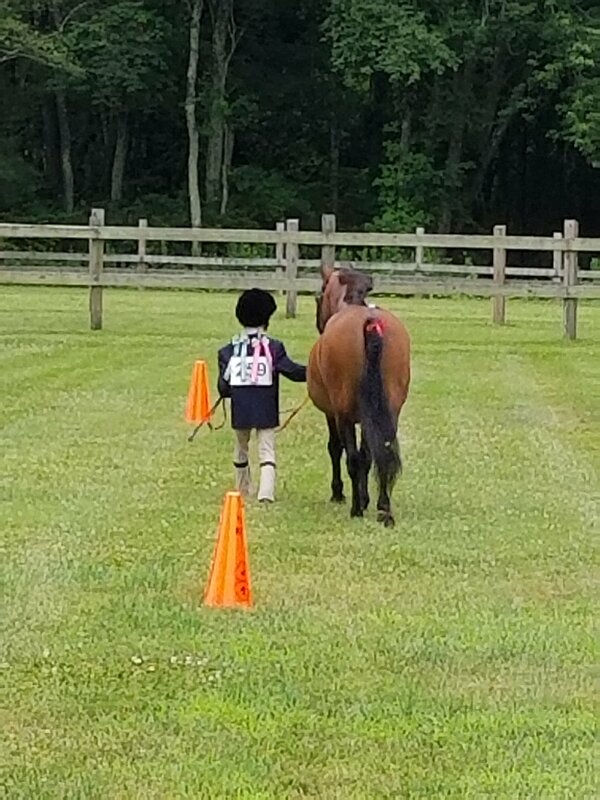 In 4H you have to do a showmanship class and that is first on the agenda. Amanda got to go FIRST of everyone. Yeah Amanda! Vicki and Duchess were next and Duchess had a fit when she could no longer see Mojo. She was calling for him through the whole showmanship sequence. And not standing still…but she looked pretty. Alex showed Mojo. They did fine. Which about sums up how Alex feels about doing a showmanship class. 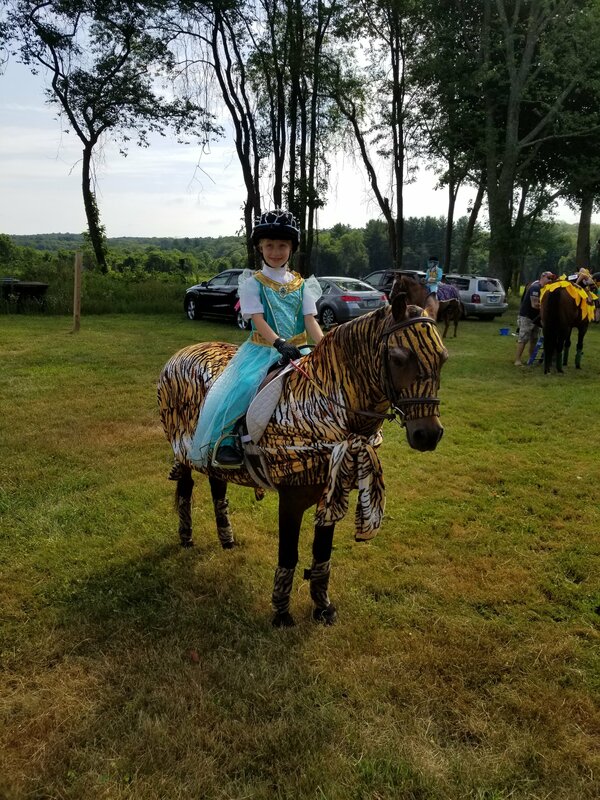 After showmanship, there was a costume class. Both Amanda and Vicki participated. 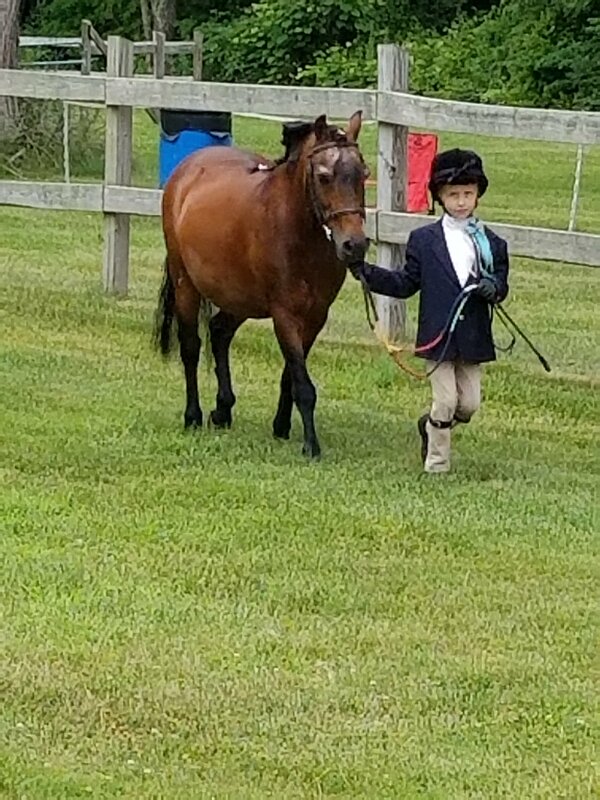 Amanda showed Huey in walk trot. 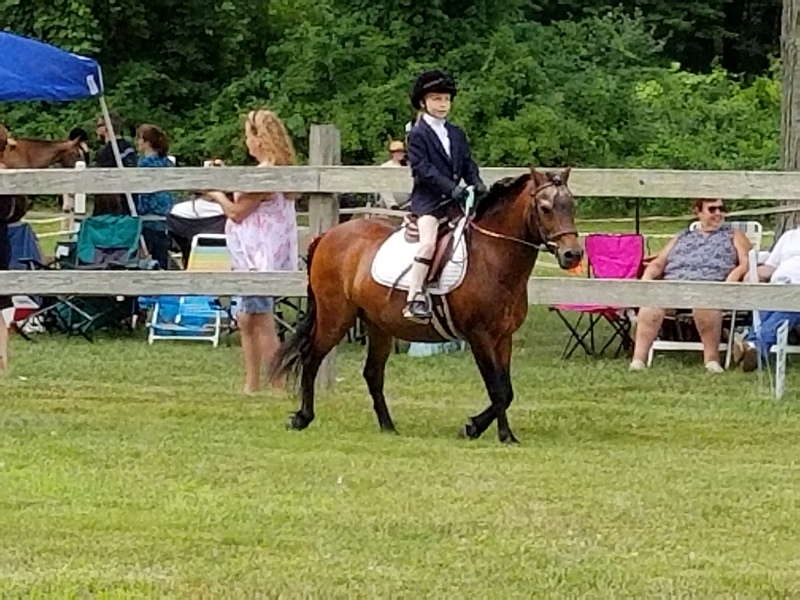 They did well showing off lead in their first ride around the ring show. 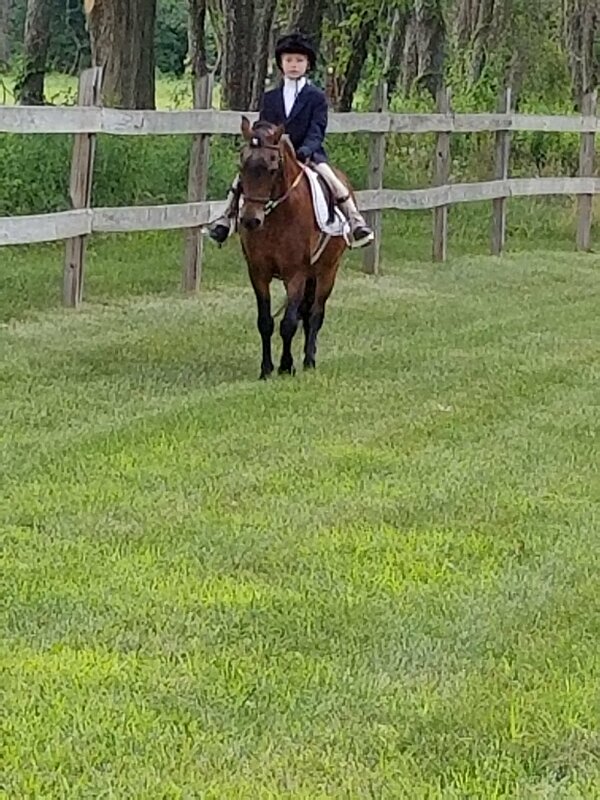 She tried her hand at a trail class and they did ok, with Huey only refusing the bridge (he is not a fan on trail either). 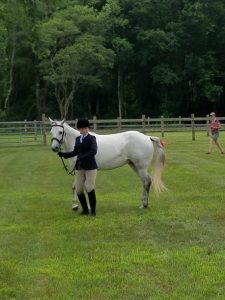 Vicki showed in Jr WTC flat classes and 18″ hunter classes. 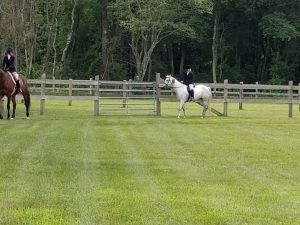 Duchess was hot at the canter with all the other horses cantering and more of a jumper than hunter in the jump ring, so it was more of a learning experience than a success story. They did come home with ribbons though. Alex showed in Sr English flat classes and 18″ hunter classes. Alex and Mojo looked fab together, but had some confusion in the canter lead department. 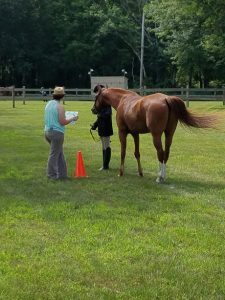 We also need to discuss the difference between a road trot and working trot. LOL. They jumped all the jumps, albeit sometimes a tad fast…Did not get any pictures of Alex riding, because I was holding onto Huey at that point. 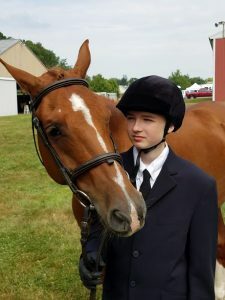 The CT State Horse Show is held for those counties in CT that do not have many participants and do not put on their own county horse show at the 4H fair. 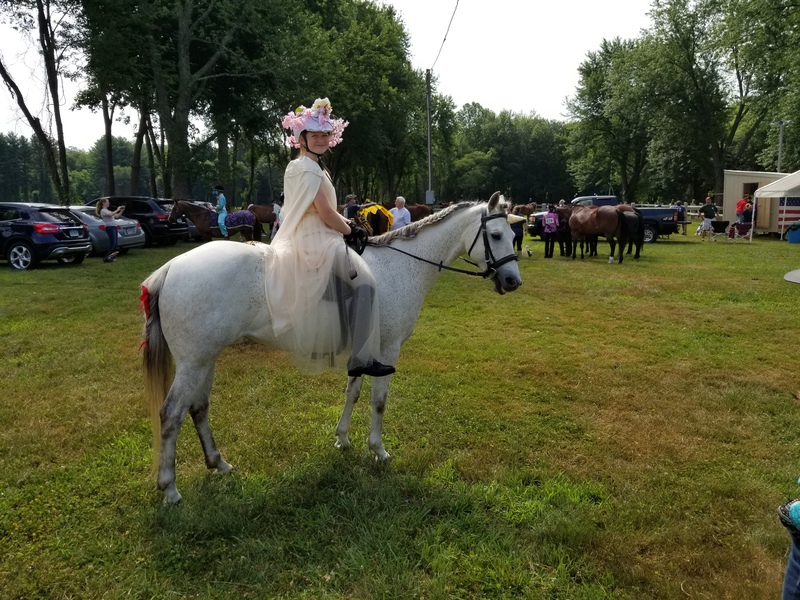 New London County is one of those counties and the top senior showmanship scorer goes on to compete in Premier Showmanship at the 4H Fair at the North Stonington Fairgrounds at the end of July. 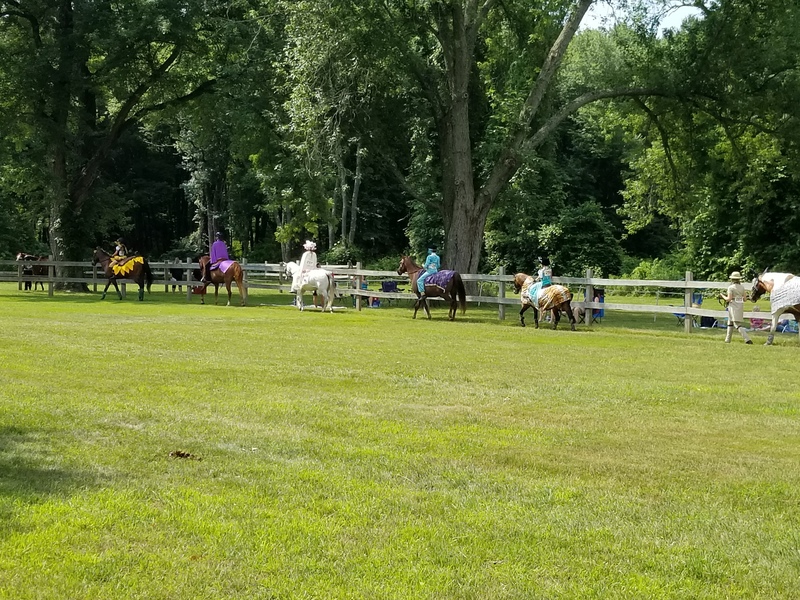 Instead of a show the fair holds a Horse Demo to still have horse presence at the fair.